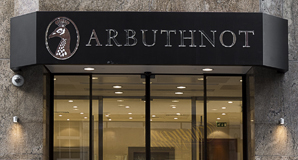 Arbuthnot Banking Group’s principal subsidiary is Arbuthnot Latham & Co., Limited. Arbuthnot Latham offers a carefully crafted expert private and commercial banking and comprehensive wealth planning and discretionary investment management service. Clients receive a bespoke service from a team of people that have the expertise, experience and autonomy needed to provide it. The Wealth Planning team provide clear and objective advice, whilst establishing flexible strategies in collaboration with clients' professional advisers. Qualified advisers cover such things as; Wealth structuring, Tax mitigation, Estate preservation and Retirement planning.